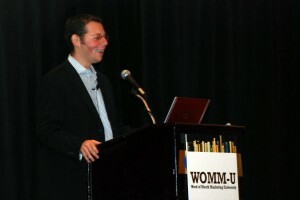 This past week, I had the opportunity to attend the WOMM-U event put on by WOMMA (Word of Mouth Marketing Association). 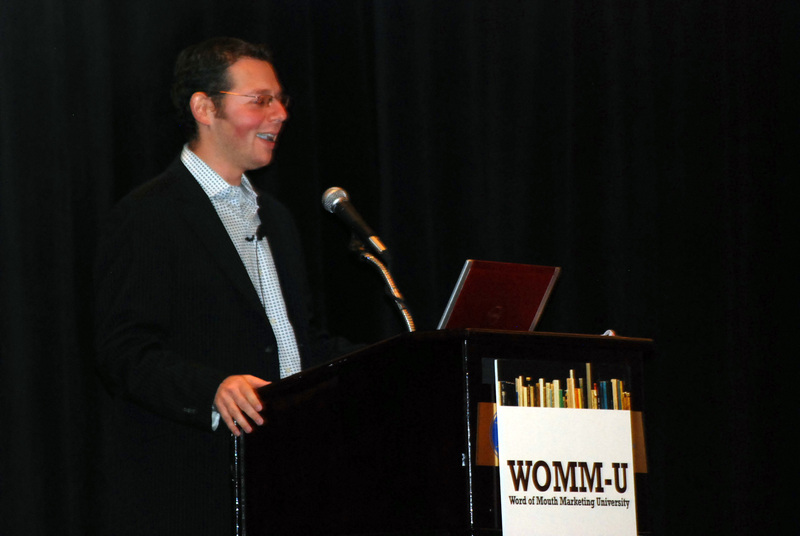 This was a great experience for me, as I’ve been an avid promoter of WOMMA for a while now, including when I do training for my Social Media classes at SES Training. The WOMM-U event followed my Denver Social Media Class, so this was perfect timing, to have this event follow right after. What I found most interesting is how different forms of marketing approach Social Media. It’s great when you get to bounce your ideas, practices and thoughts on strategies with the head marketing folks from Dell, Apple and even OPI cosmetics. When you sit in a round table discussion with only 8 people or less, a lot of ideas can be bounced around, vetted out and understood. That’s what I got to experience with the WOM Strategy track for the breakout sessions at WOMM-U. The track had six 30 minute sessions on different areas of Word of Mouth strategy including: Building a Sustained WOM Program, KPI’s that Work, Selling WOM Programs to the CEO, CO & CMO, Measuring ROI of Fans, Going for Big, Fast Buzz Now & How Does WOM Scale. I attended 5 of the 6 sessions and they had some great takeaways. Evangelism is key to this. People who are whole-heartedly behind your product, brand or service can be your best allies with creating big, fast spreading Word of Mouth campaigns. The internet has become a form of entertainment. Today, it is essential that companies have strong creatives for their Word of Mouth campaigns. At the end of the day, its people talking to people. That’s how the conversation spreads, that’s how Word of Mouth spreads, if you don’t have an interesting story, people just aren’t going to talk to others about you, your brand or your products or services. Word of Mouth Marketing programs are a natural outgrowth of great customer service. If your company already is known for providing great customer support, word of mouth is very easy to come by. One of the keys to creating a long time, good word of mouth marketing program is to make promises that your company can keep. Even if they are small, eventually the numerous small promises, add up to a continuous, reliable track record that people can come to rely and trust in. Small project that give back to the community that has formed around the brand, product or service, return good incremental value. They also create and build a trusting relationship, and when that happens, word of mouth starts to spread. 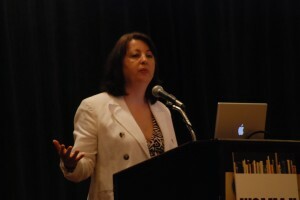 WOM should be done by all marketing units, not just the online unit, or the customer retention. Getting all areas involved helps to ensure the WOM program keeps moving along. You need to listen to how your audience is promoting you, understand how they are saying things, not just “what they are saying”. Product or Service co-creation is a great way to get community involvement and help to continually spread word of mouth. Consumers have become very fluid now and their touch points have become fuzzy, and therefore it becomes very difficult to track. You need to understand what your fans / evangelists are willing to do for you. Understanding this, can give you valuable insight into your evangelists true value. You need to understand that there are different types of fans / evangelists: Adovacates, Influencers and Promoters are just a few of the types. Using your advocates can lead to decreased costs. There was a lot more in these sessions, some really great take aways were given. The open environment of the round tables, and being able to ask the moderators about their past experiences was invaluable. It’s not every day you get to pick the brains of the folks who helped Leggo and Intuit, and this WOMM-U event provided just that. This entry was posted in Word of Mouth Marketing and tagged wom strategies, wom strategy, womm strategies, womm strategy, womm-u, womma, wommu by Liana "Li" Evans. Bookmark the permalink.